I am back again after almost a week of not having to update you about my whereabouts. I have been planning to touch base with you of what’s happening but with my job hunting and real life , I seriously had to put this thing on hold for a few moments. I really don’t have too much to talk about this time, but maybe I will just give you a run down of what I have in mind right now. I seriously wanted to jot down all the things I intend to do for the coming months but I may have forgotten some of those things due to procrastination. Laziness has been attacking me again and I am asking your forgiveness. So what else can I tell you about my blog? If you are new here, maybe it would be better if I tell you something about myself first. Please take time to read my About Page first. My blog started in 2009 when I was still dealing with a broken relationship. It was a broken relationship with God, family and friends. It was just a simple journal featuring ideas for people who love outdoors and taking photographs with a touch of reality of course. The primary aim of this personal journal now turned personal travel blog is to help myself achieve and document all my travel adventures.I am deeply in love with an adventure with a purpose and hoping to make a difference to the community in my own little way. In January of 2o11 I joined the community of Filipino Travel Bloggers where up to now I am still counting numbers of friends. It feels so good to connect with people who have the same love of travel as I do. Right now , I still can’t believe that this site became an inspiration for people who share the same passion. I suppose, the rest is history as they say. I spend a lot of dramatic times on the road taking pictures then I write and share the good things about my experience. Now I can seriously imagine what’s life without the spirit of traveling. We may have been traveling alone or with groups just for fun or because of work but whatever the reasons maybe, the word “Traveling” will always be part of our lives. And other reasons behind it is all up to us. In real life we are like movie stars. Sometimes we play a happy soul that can appreciate little things in life and sometimes we also play a lost soul that suffers so much excruciating pain. Needless to say we can be someone who can try to smile despite of heartbreak and despair.It is a terrible and a significant role that we have to play everyday. In life, it feels ultimately great to try new experiences. The joy it can bring when we embrace changes in our lives. It feels extremely amazing to step out of our comfort zone. But whether you are traveling solo, with friends or with special someone, we get knowledge about the world we live in and we challenge ourselves which would help us grow in many ways. Both amazing and incredible ways through different places we encounter and the wonderful people we meet on our journey. Thanks a lot to those people I happened to meet unexpectedly on the road. I have learned that by just wandering , it can complete our substandard life. It is something we do routinely everyday. Our mind and body keep wandering towards things. Sometimes we just wander to feed our ego, satisfy our desire and realize a dream. I have learned that in life it is imperative to make a difficult decisions once in a while. Some decisions that nobody can understand except you. Decisions that you can not even explain by a pure logic. Decisions that may not be necessarily right but are justifiable at least to yourself. After all , at the end of the day, nobody cares and you only have one obligation but to please yourself. So beginning today, try to choose the right path although sometimes it is good to get lost. Getting lost is the most immediate way to be free. I have been to some of the best and romantic places in the Philippines. I traveled alone.I met unforgettable people on the road. I planned and created my own itinerary and most of all I dream and hoping to make it a reality. Follow your dreams and visualize possibilities for personal growth. Everything reminded me of my humble beginnings. I know that this may not be my shining moment but I am so proud of my accomplishments and of what I have become. I still believe that all things in the world take time. I know this is just the beginning. Cheers to looking back and looking forward! This post is my entry to the Pinoy Travel Bloggers’ Blog Carnival for July 2012 with the theme “The Journey That Made Us a Travel Blogger”. 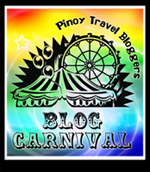 Edmar Gu-Quibb of Edmaration Etc hosts this edition of the blog carnival. 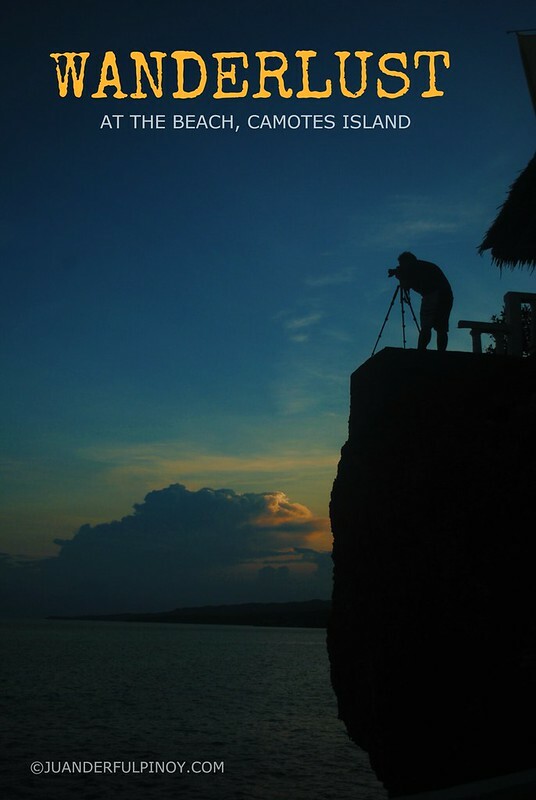 Visit Estan Cabigas’ Langyaw to see the archive of Pinoy Travel Bloggers’ Blog Carnival!